Casa Lucazi is a dream villa and a solid investment. It’s a perfect vacation rental property that can be used to offset costs or as cash flow positive, as well as being a great private vacation retreat for the true entertainer. As Robert Kiyosaki said: “As long as you have more cash flowing in than flowing out, your investment is a good investment.”. This is a real good opportunity for just that. 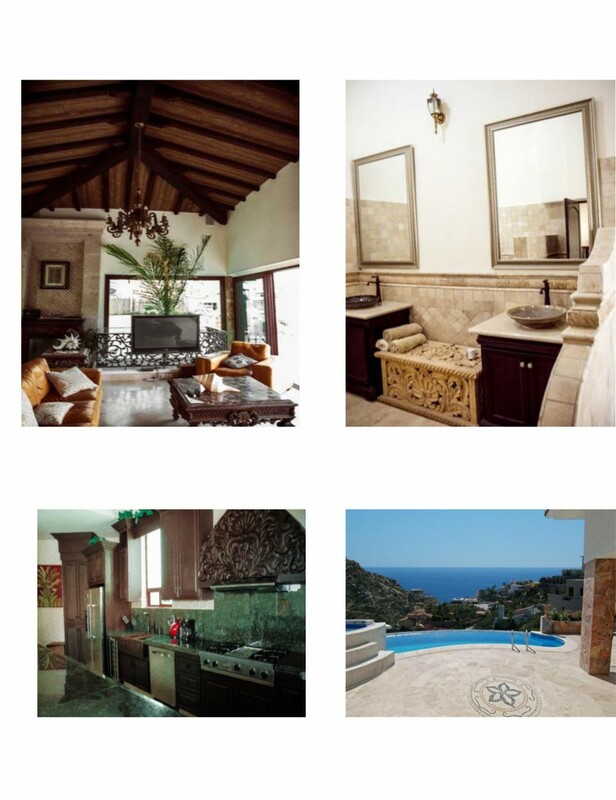 Casa Lucazi is a custom made 4 bedroom & 4½ bathroom Villa in Pedregal, Cabo San Lucas, BCS, Mexico. 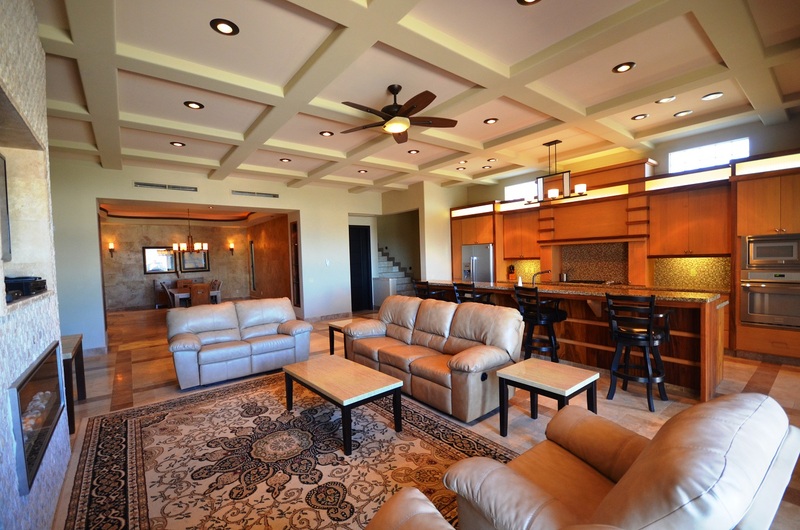 It has many high-end features such as your very own media room. Who does not dream of their own cinema room? 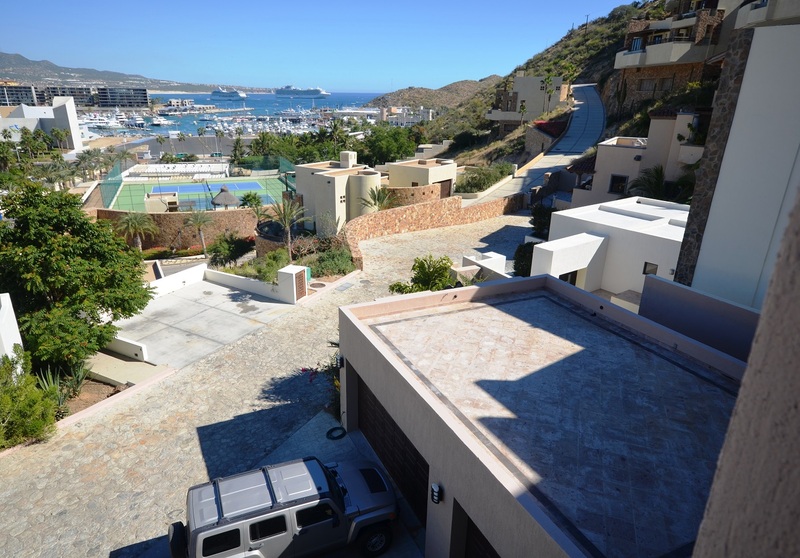 It’s a close walk to the sizzle of downtown Cabo and beautiful forever views of the city marina. It comes equipped with an elevator & spacious pool with a heater. This is a must see! This custom made house was built in 2009, the total construction is 413 square meters (4,380 sq. 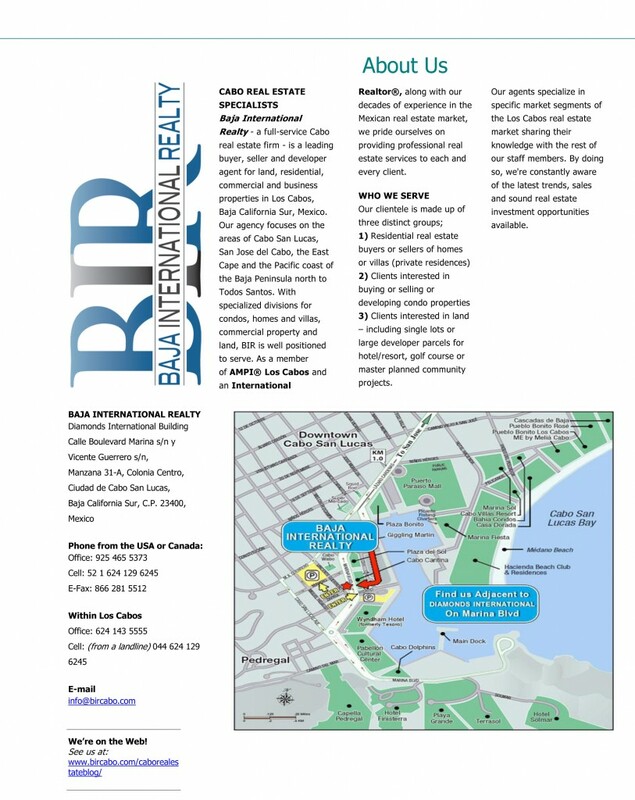 ft) and the lot is 1,080 square meters (1/4 of an acre). It has a 3 car garage plus 2 carports and a garage roof deck patio. It comes partly furnished and has a garden, hot tub and a fire place. 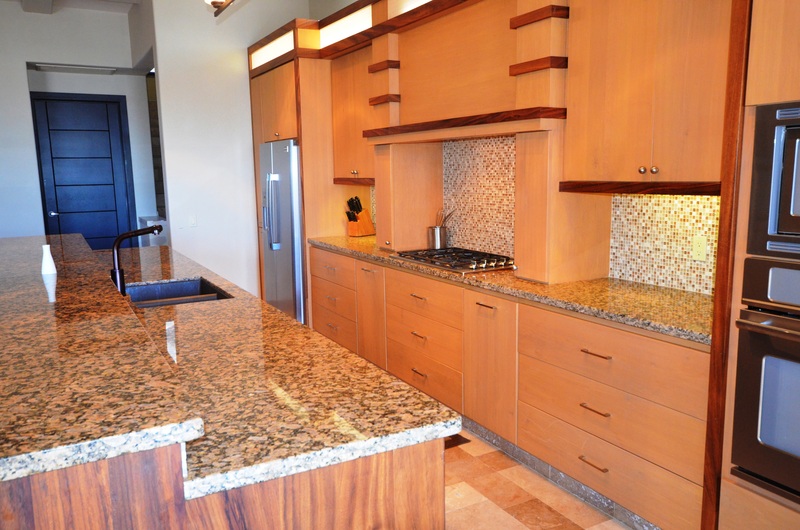 The kitchen is complete with a top of the line dishwasher, disposal, refrigerator, freezer, microwave, gas oven, ice maker and to top it off a must have wine fridge, for enjoyable nights in front of the fireplace. 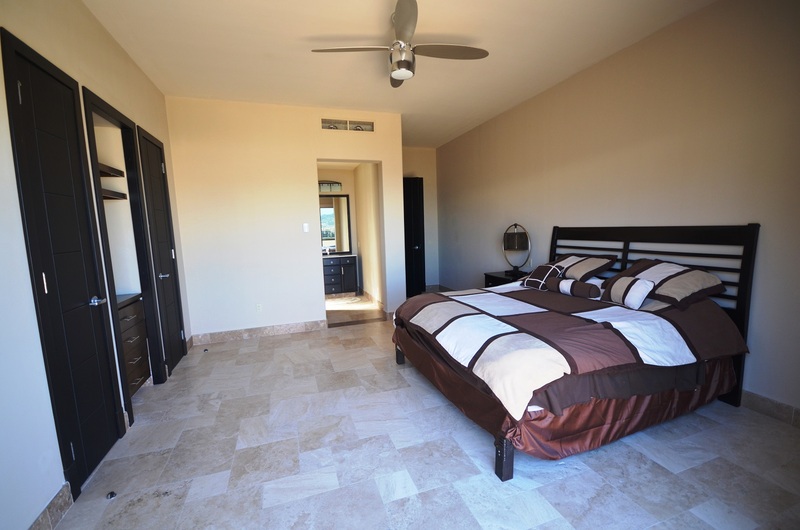 Casa Lucazi has ceiling fans, air conditioning and a fire place for your everyday comfort and perfect indoor temperatures. 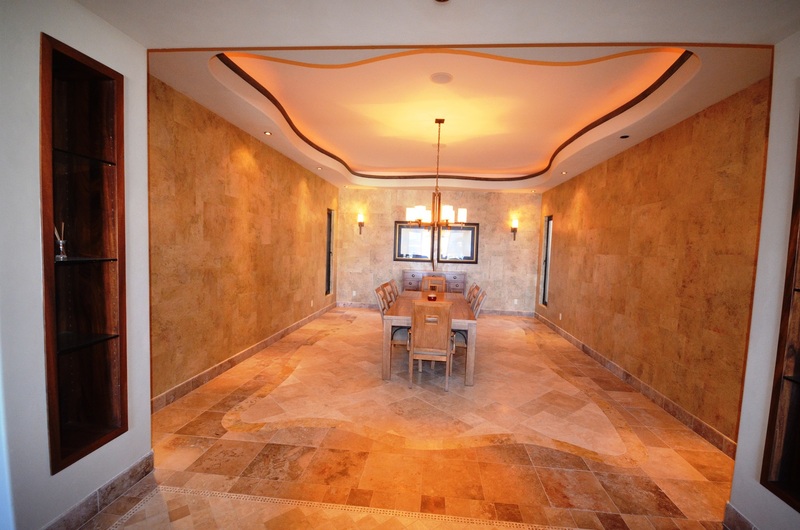 Travertine flooring through out the home and a well thought out and open floor plan. Bedroom with an on suite bathroom and an upstairs balcony with ocean view. Is this going to be your Tom Hodgkinson paradise? “I count it as a certainty that in paradise, everyone naps”. 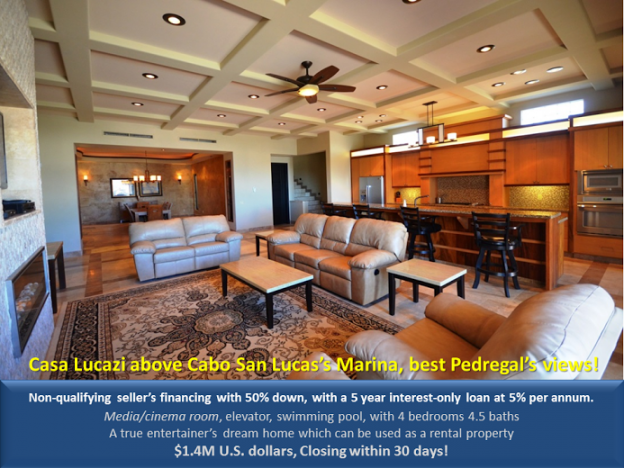 Casa Lucazi can be yours for $1.49M U.S. dollars and closing within 30 days. The yearly property tax is $2,370 USD. There’s a 5 year interest-only loan at 5% per annum and non-qualifying seller’s financing with 50% down. 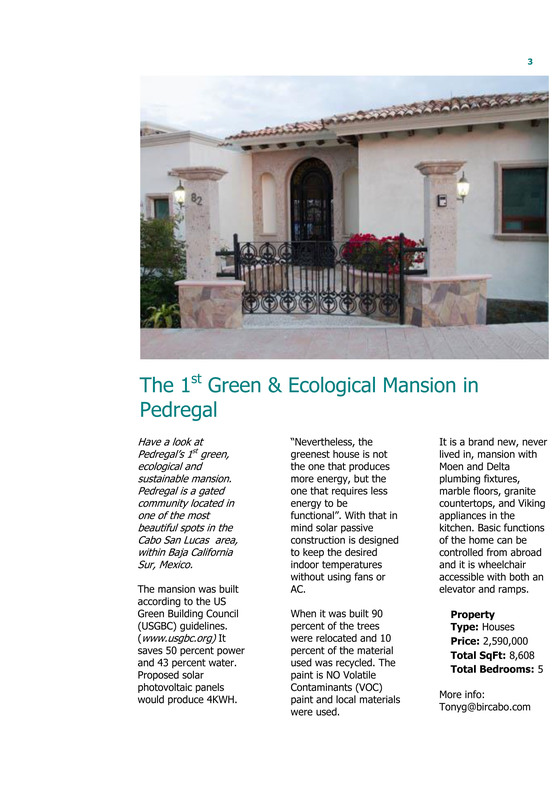 The house is equipped with a security system, alarm and motion detector as well as internet and satellite TV. “Buy on the fringe and wait. 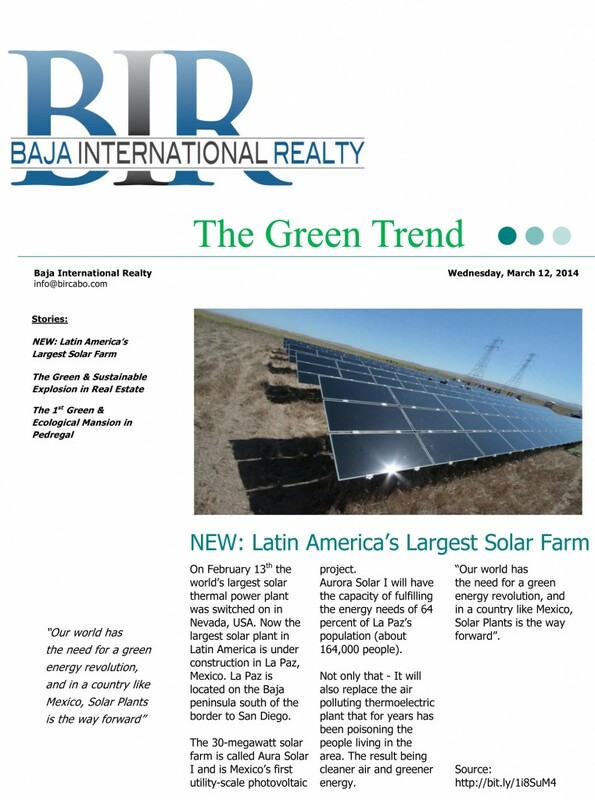 Buy land near a growing city! Buy real estate when other people want to sell. 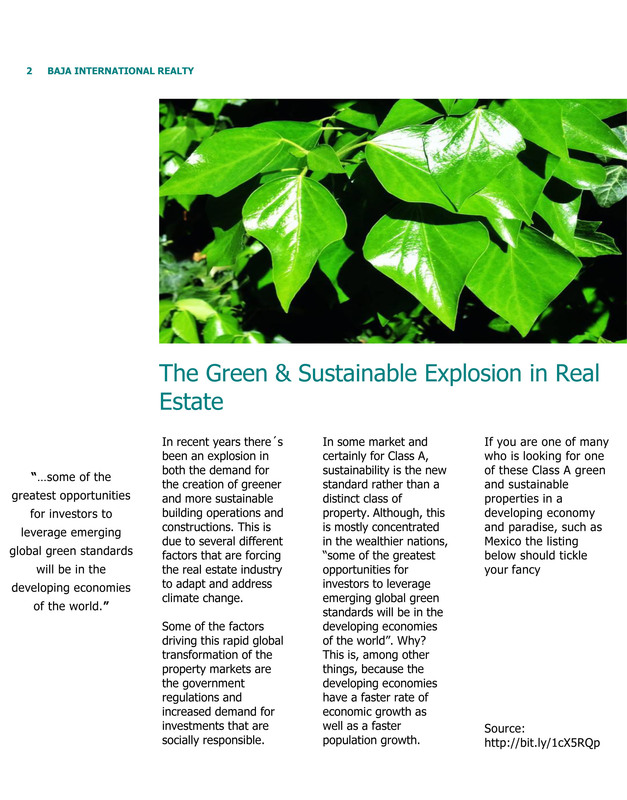 Cabo is the growing city of opportunity! 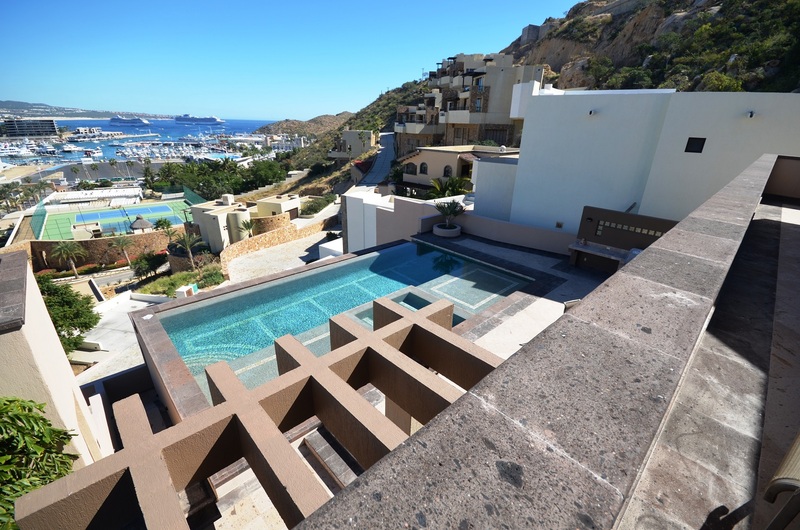 This entry was posted in Uncategorized and tagged 4 bedroom, Baja International Realty, BIR, bircabo, cabo san lucas, Casa Lucazi, elevator, house, House for sale in Cabo, Ocean view, pedregal, pool, real estate, Roger Marius Ciceron, villa on April 8, 2014 by Baja International Realty. This entry was posted in Uncategorized and tagged 5, AC, access, accessible, America, baja, barrier, bath, Bathroom, bathrooms, baths, BCS, beach, Beam, beams, bed, bedroom, bedrooms, beds, BIR, bircabo, Blackberry, boat, building, buildings, buy, buying, Cabo, cabos, California, Canada, carbon, Central, change, climate, community, construction, constructions, Council, counter, don, Dvorak, eco, ecological, economical, economically, electricity, elevator, energy, environment, Estate, feet, financing, footprint, friendly, ft, furnished, Garcia, gated, granite, green, greener, guideline, guidelines, home, homes, hot, house, houses, insurance, International, invest, investment, investments, Iphone, kitchen, KWH, land, lands, Latin, live, living, Los, luxury, mansion, mansions, MDVK, mdvk.me, mdvk.net, mexico, mountain, mountains, NinRi, panel, panels, paradise, parking, partially, pedregal, peninsula, penthouse, photovoltaic, plant, pool, power, Private, properties, property, protection, Real, Realty, recycle, recycled, relocate, relocated, relocates, rentals, reuse, Richmond, san Lucas, save, saving, solar, sq, square, summer, sunny, Sur, surveillance, sustainable, thermal, Tony, top, tops, treatment, tree, trees, tub, US, USA, USGBC, UV, vacation, vacations, View, Viking, villa, villas, water, weis, wheelchair, www.bircabo.com on March 14, 2014 by Baja International Realty. 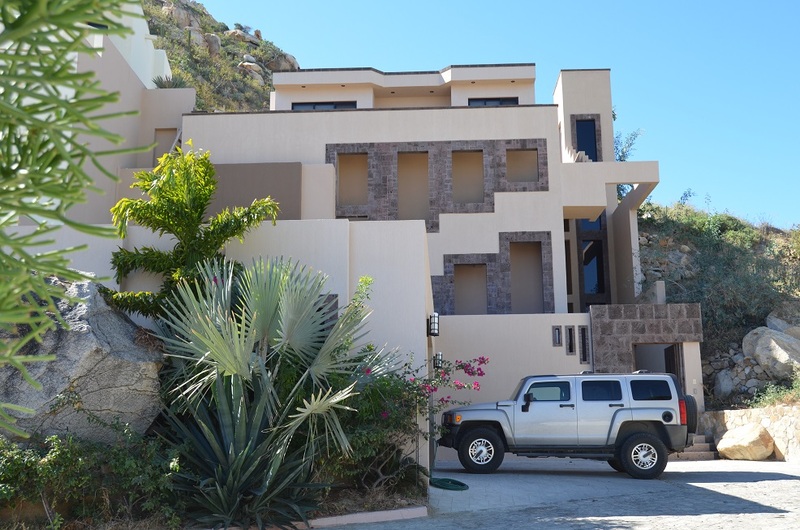 Villa for Sale in the private community of Cabo Bello, with 3/4 Bedrooms and 3 Baths, Great Ocean Views, 3,500 square feet A/C, only 5 minutes walking distance from a swim-able, private white sandy beach. Giant roof palapa with a bar, outside BBQ and a pool. 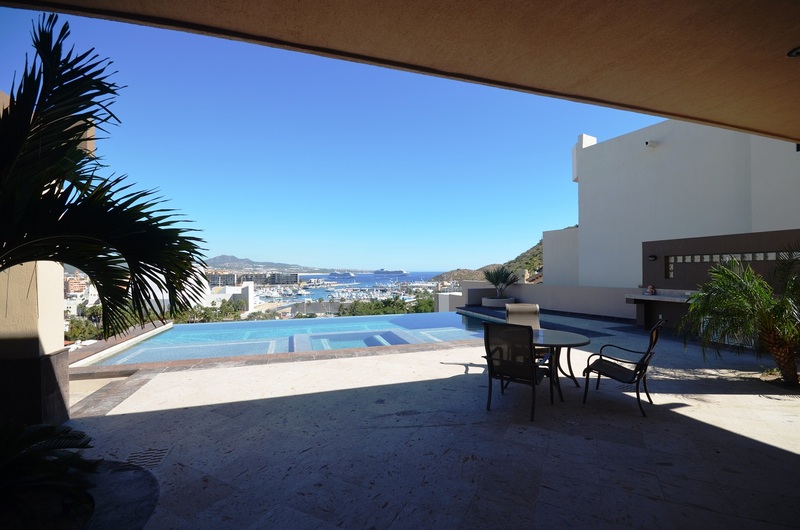 This entry was posted in Uncategorized and tagged Cabo, Cabo Bello, cabo san lucas, Great Ocean Views, House for sale, outside BBQ, pool, private community, private white sandy beach. 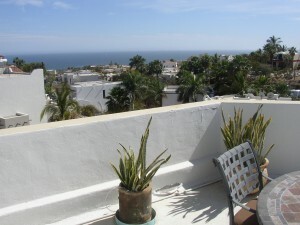 palapa, swim-able, Villa for Sale, walking distance on May 22, 2011 by Baja International Realty. 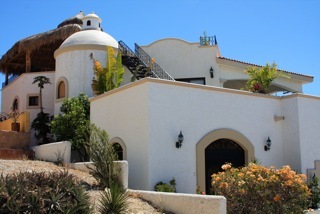 CABO SAN LUCAS REAL ESTATE; Cabo House? 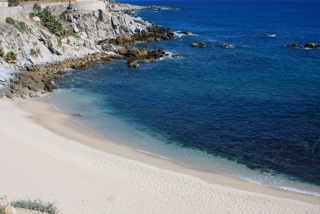 or Cabo Condo? or how about a very special Townhouse?